When Grey’s anatomy meets RS Grey’s mind… the best kind of combination, because double grey! I loved it. Hilarious, fun, entertaining and hot. My favorite kind of romantic comedy. 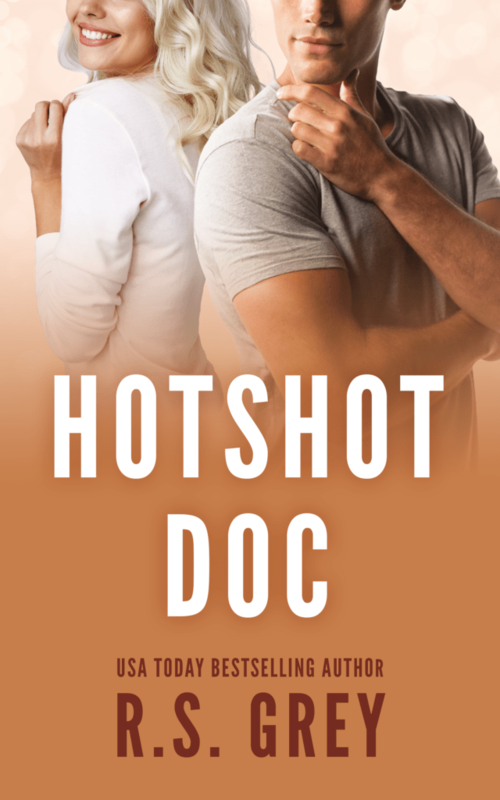 Hotshot Doc, the story of a surgical assistant, Bailey who had to find a new surgeon to work with. The odds to find the perfect one were close to none, the icing on the cake, having the worst boss ever, who couldn’t keep an assistant more than two weeks. A tyrant hidden under the smoking hot body, Dr Matt Russell, who tended to make people cry and to quit in a blink of an eye. Bailey wasn’t the person Matt expected her to be. Under her sunshine and happy personality was a strong and badass woman who was going to put things into a different perspective. What should be a hate relationship turned into that smoking tension building throughout the story driving them insane. I enjoyed how her thoughts were working overtime and her little sister who made me laugh so hard. Matt « Hotshot Doc » Russell was married to his job, focused on his patients and nothing else. Cold hearted, cocky and terribly talented surgeon, he seemed to have any consideration with the employees. They had to get along and to be on top. Always. No time for mistakes, not wasting time. His life was planned like his surgeries, with a clinical care, definitely not caring about what people thought of him. Tuning his world upside like a freaking hurricane. I liked it a lot! I had so much watching Bailey and Matt working along, with of course a very terrible start, a very palpable tension cracking in the air, as much as they seemed unmatched, they were terribly complementary. Bailey wasn’t giving any damn when it came to his broody personality, challenging him like no one else. What about the chemistry… give me some angst, add a lot of sexual tension, a colorful heroine and a broody hero, tons of hilarious moments but also some emotional ones, a great recipe for a romantic comedy. I read it in one sitting, so entertained and charmed by their story with this strong hint of feel good vibes. So easy-going. 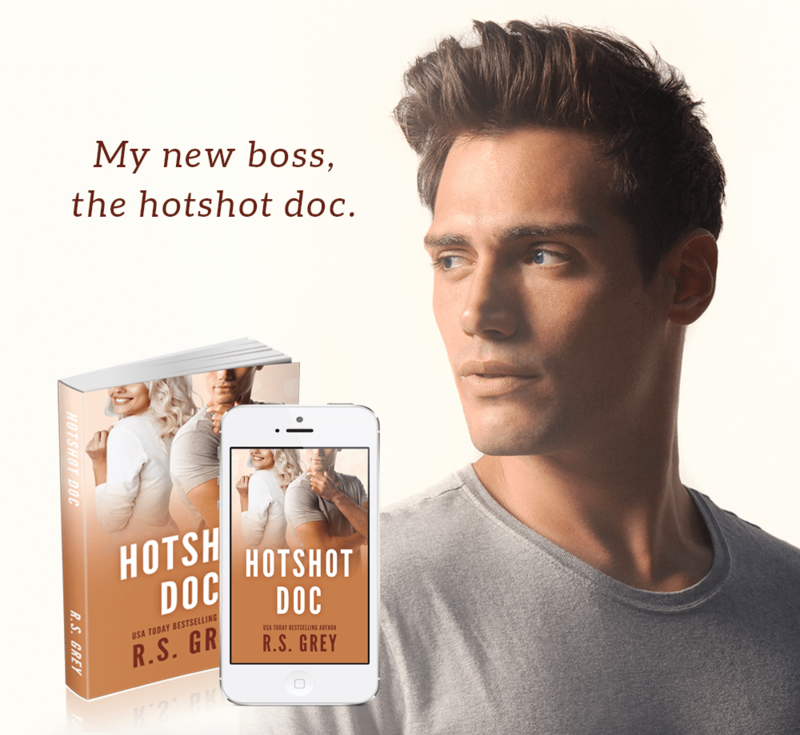 I had a great time reading Hotshot Doc and it strengthened my thoughts about RS Grey’s writing, stories that I’d enjoy reading more than once, a ray of sunshine in the cold days!